How Long Will The Merit 715T Plus Last? Expecting a basic treadmill like the Merit 715T Plus to last for years and years is like expecting Donald Trump to invite CNN over for a cup of tea. The price tag that comes with these treadmills does not produce much quality and should not be expected to run like a higher end treadmill. Still, the Merit 715T Plus has a stronger build than some of the treadmills in this price range as well as an okay warranty. With this, a few years of light, casual walking can certainly be an expectation for 715T Plus owners. We also always encourage our users to take care of their machines by taking simple steps such as unplugging when not in use and lubricating when necessary; creating an ideal environment for a treadmill is a guaranteed way to extend the life of your machine. Treadmills in the $400-dollar range are usually not worth talking about. But we like to pick out a few that stand out so that you can at least get the best of the worst. Accordingly, we have awarded the 715T Plus the 2019 Best Buy Second Place award for this lower price range. A sturdy frame and wider walking area are two qualities that help the Merit 715T Plus standout. We will talk about the features we do like the 715T Plus’s weight capacity, horsepower, unit weight, and walking area as they justify our Best Buy placement. But first, we want to first help you decipher through the features that you may have noticed. Treadmill companies often associate eye-catching names with basic features to make their machines seem a little more than what they appear. Merit has done this with their 715T Plus treadmill. You may have seen that the 715T Plus treadmill comes with AEROsoft cushioning, three LED displays, pulse heart rate monitors, and an easy fold design. First, AEROsoft cushioning means that the Merit 715T Plus comes with shock absorbers. And more than likely, since the quality is often indicative of the price, the 715T Plus’s shock absorbers are nothing to write home about. The three LED displays are actually kind of silly to even advertise. Merit has decided that instead of the 715T Plus treadmill having one larger display, it will have three different itty-bitty screens that denote your workout data. And the pulse heart rate monitors, well, that is Merit’s fancy way of telling you that they decided heart rate grip handles were just too fancy for this treadmill. Instead, the 715T Plus treadmill has two tiny plates to rest your thumbs so you can detect your heart rate. Choosing between treadmills in the lower end price range to find the best one is like trying to find a chip to dip from the bottom of the bag. They are all pointy little shards. But, there are a few that are just a little bit longer that may not break off in the rotel bowl. There are only slight differences that help give one a slight advantage over the other. For the Merit 715T Plus, two inches make all the difference. The one aspect of this machine that helps it to stand out is a walking belt that is a whole two inches wider for when you need every inch of wiggle room possible. Outside of the belt size, the Merit 715T Plus also has a pretty sturdy build among the treadmills in this price range. In order to asses a treadmill’s design, we take into account its weight capacity, horsepower, and overall weight. Merit’s 715T Plus comes with a 2.5 horsepower motor, a 250-pound weight capacity, and weighs about 130-pounds. Now, the horsepower and weight capacity can be a little arbitrary as some companies like to come up with their own tests and measurements. We are not saying that the 715T Plus treadmill cannot accommodate 250 pounds at a 2.5 mph capacity. But we are questioning Merit’s unit of measurement and how long the 715T Plus can withstand this kind of stress. That is why we take all three of the specifications in mind. When you note that the 715T Plus weighs 130 pounds as opposed to a hundred, you can see that, unlike others in this price range, the Merit 715T Plus treadmill is built with heavier materials. Add that to a decent size, 2.5 mph motor and a 250-pound weight capacity and you have a build that is likely to hold up better than other treadmills in this price range. Coupled with a ninety-day warranty (standard for this price), Merit has equipped the 715T Plus with a good amount of value in terms of an entry-level machine. With that said, we do have a few drawbacks. The 715T Plus only has a five percent incline capability. While we realize most treadmills for this amount do not have much of an incline, there are a few that do. If other companies can put more value into their machines, then why can't Merit? The same story goes for the 715T Plus in the built-in workout category. We have seen up to sixteen built-in workouts in machines with the same price tag while the 715T Plus has a measly four. In prior reviews, we have found Merit’s 715T Plus to be a very basic walkers-only treadmill that is good for the price. Still, we have noted that this treadmill is limited and will not likely last long and certainly will not withstand regular use for an extended period of time. While we hope no one expects too much from any sort of basic treadmill, the Merit 715T Plus should certainly be a contender if you are shopping in this low-end price range. The few added bits of value like a sturdier build, wider walking area, and standard warranty are some of the factors that helped the Merit 715T Plus win the Second Place 2019 Best Buy Award in the $399 and Under category. 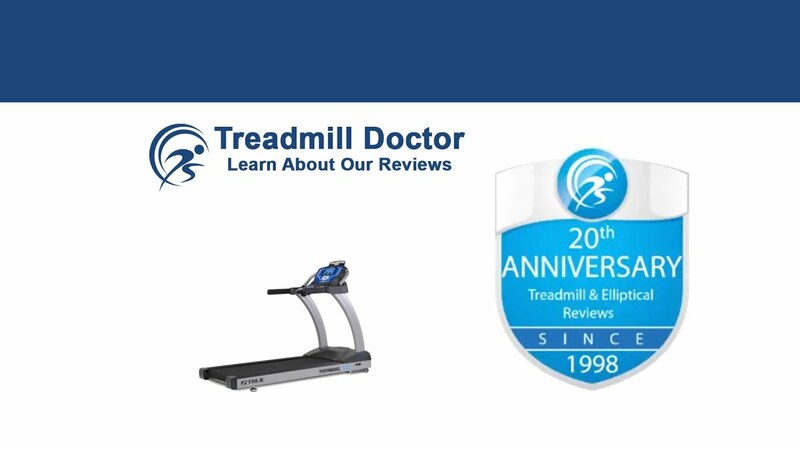 For someone wanting to purchase their first treadmill or looking for a treadmill for a casual walk, this treadmill is a respectable choice.